Growing up, my mom made many a delicious dessert crisp, and I find that it is one of the easiest desserts to execute but seems like it had a bit of effort put into it. I still had some raspberries left in my backyard and the blueberries are coming in like crazy now, as well I had some apples to use up in the fridge as well, so here it is, an Apple Berry Crisp. That is the beauty of this dessert, you can virtually throw any kind of fruit in, add a super easy crumble topping and pop in the oven. I also feel that vanilla ice cream is a necessity to accompany this dessert. 1. Preheat oven to 350º. Layer apple slices along the bottom of a lightly greased baking dish. Sprinkle cinnamon on top. 2. In a bowl toss raspberries, blueberries and granulated sugar together. Spoon berries on top of apples. 3. In a bowl mix oats, brown sugar, flour and salt. Stir in melted butter until mixture is crumbly. 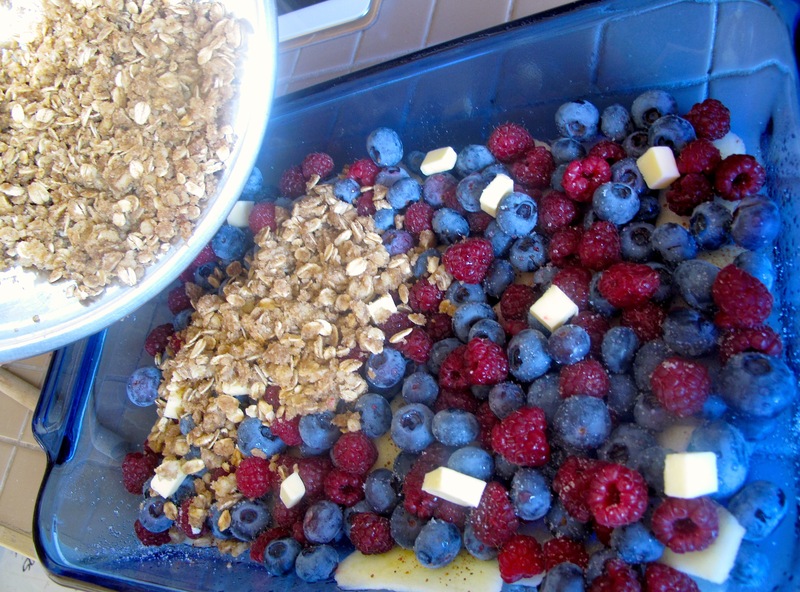 Sprinkle mixture over apples and berries. Bake for 45-50 mins, or until topping has browned. 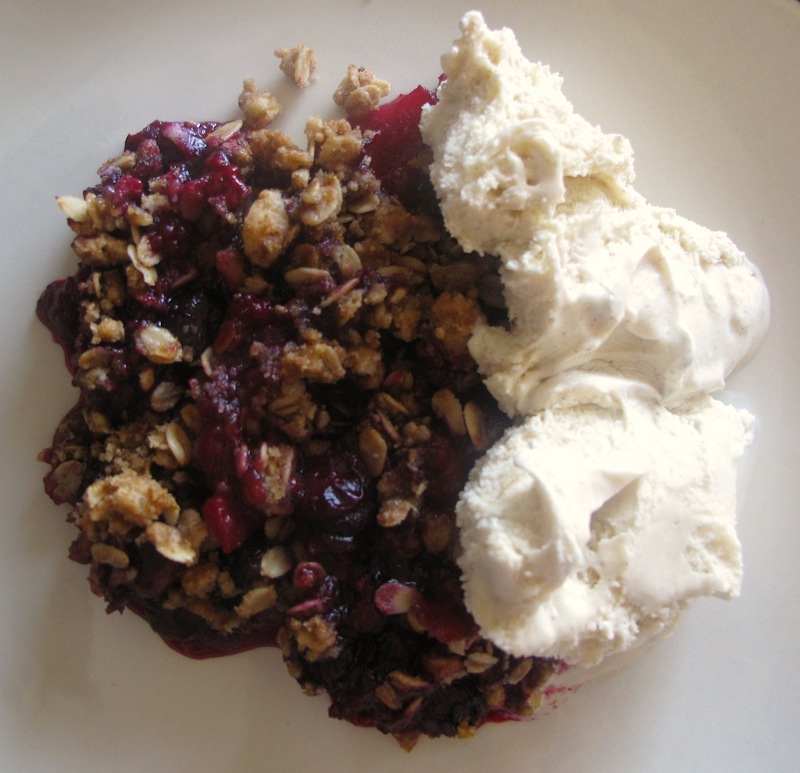 This entry was posted in Baking, Dessert, Fruit and tagged apple crisp, apples, baking, berries, blueberries, crisp, crumble, dessert, raspberries, Recipes, rolled oats by Karina. Bookmark the permalink. This looks fantastic and so so simple. Nice one. I’ve had unspeakably large amount of crumbles/crisps over the years… there’s one downstairs right now.